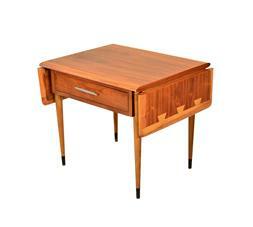 In 1951, the Lane Company expanded beyond their cedar chest business, adding occasional tables as a new product offering. 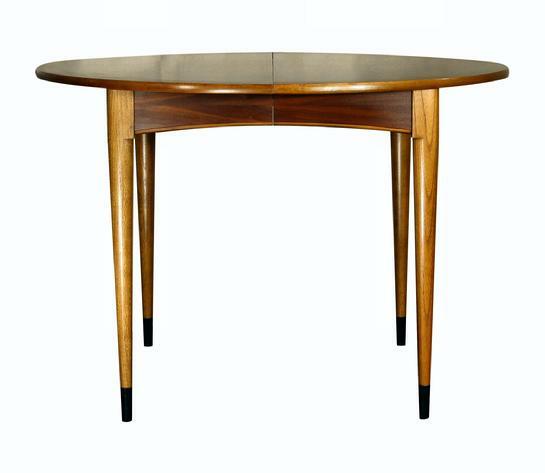 Due largely to innovative and original designs, Lane enjoyed a long string of successful table collections throughout the 1950’s. 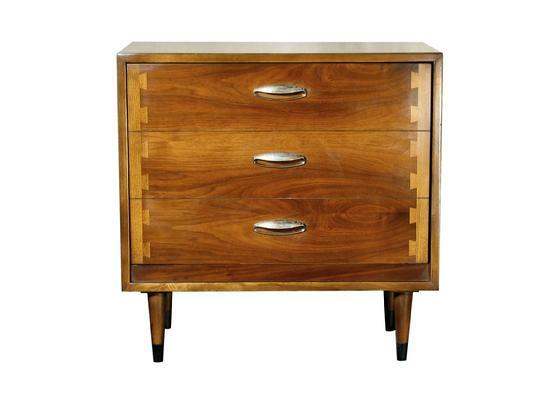 In the later 1950’s, the American design aesthetic was big and flashy. Cars offered enormous glitzy chrome bumpers and giant tailfins. In 1958, America was feeling confident as a country. NASA had the success of Explorer 1, and the space race was on. 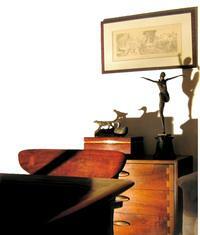 This is the background into which Acclaim was launched. 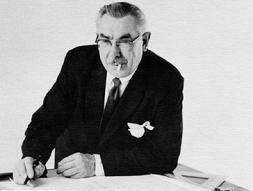 Andre Bus was the designer of the Acclaim Collection, which itself was launched in 1958, and was emblematic of the period. 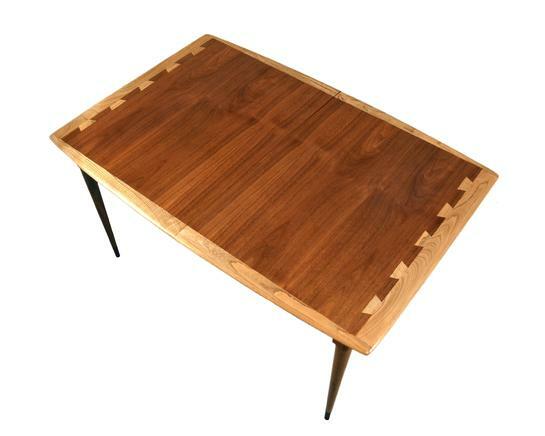 His large, non-functional, veneer crafted imitation dovetails are fabulously mid-century American in their exaggeration. 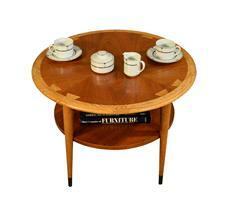 But secondly, the flood of Danish furniture imports had an equally significant influence on the Acclaim design. 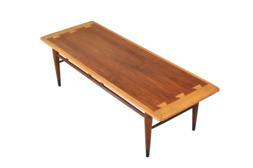 Other American companies were offering interpretations of Danish modern. 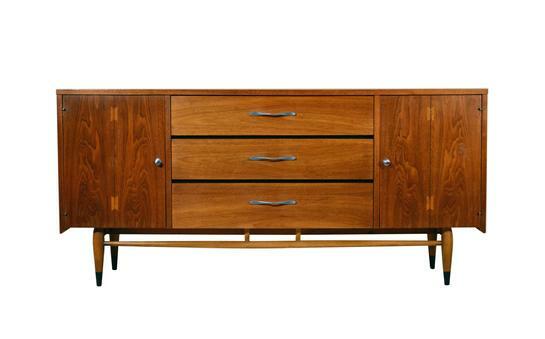 Importantly, Baker’s offering by Finn Juhl in 1953 was a benchmark American collection, and remains so today. 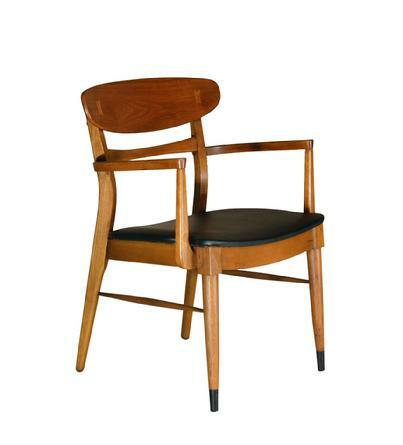 These influences on Acclaim resulted in the softer, rounded edge we see today, a nod to Denmark. Acclaim was marketed to the exploding baby boomer population, which included a slew of families migrating to their new suburban ranch houses. 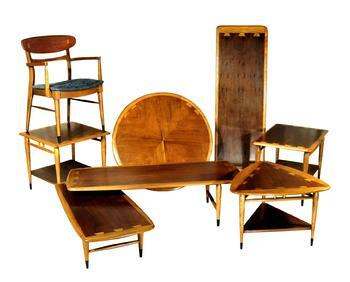 The collection was hugely successful. 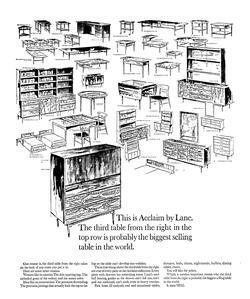 In fact, in 1963 Lane placed an advertisement claiming the 900-01 Acclaim standard cocktail table as the largest selling table of the year in the country. 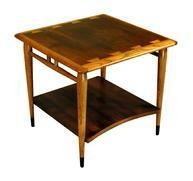 In the mid-price furniture category, I’m quite certain Acclaim is the most collected furniture group in history. 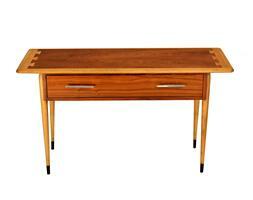 The success of Acclaim well into the 1960’s gives some indication of the quantity produced. 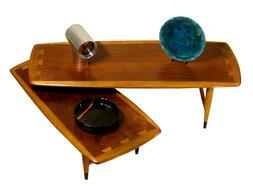 We believe "Manufactured Mass Modern" is an interesting design category that often bears exceptional value. 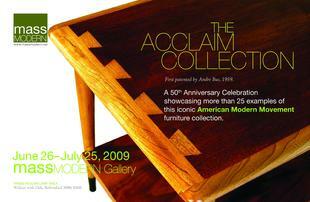 We're pleased to be presenting more than 40 examples of Acclaim in our exhibit. 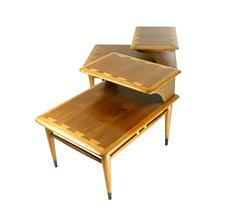 *NB #1 The photos below remain posted as an archive for Acclaim collectors. 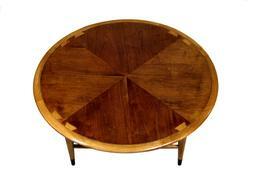 All of the items in the photos are sold, but we often have some Acclaim inventory on hand. 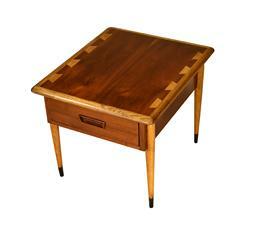 Please let us know if you’re looking for something specific. 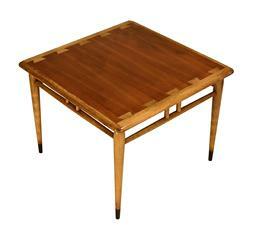 including additional photos,item dimensions, and further information.